Standing rail side listening to a switcher work his job is a visceral experience. I’ve always loved the sound of large internal combustion engines whether it be throttling up and down or just idling. Even more, I love the feel of that deep bass thumping on my chest. I get the same thrill from the show now as I did thirty years ago. As the audio on YouTube videos gets better and better, my frustration has been mounting when I go to the basement and listen to that tinny model railroad sound coming from my locomotives. It’s ‘sound’ yes, but it’s not anywhere close to the real thing. The problem is not the decoders. A chain is only as strong as it’s weakest link and the weak link is speaker size. No matter how great the decoder, there are distinct limits as to the degree of deep throaty bass you can get from a speaker the size of a nickel. The exceedingly patient sound guru’s I’ve talked explain to me that when it comes to bass, size matters. To get the sound that I want I need a larger speaker. An HO locomotive is only so big so you are forced to settle. Yesterday, after watching yet another video on YouTube with great audio it reached the point where I just couldn’t stand it any more. Time for action. There has been a lot of discussion about under table sound lately, particularly with the release of the highly promising Soundtraxx Surroundtraxx system. Theory, informed guesses on chat forums, and advice from tech reps will only tell you so much. To find out what I needed to know about under table sound I needed to build a ‘sound mockup’. I didn’t want to spend a boatload on something that may not have worked so I did some rummaging around. I dug out an old Soundtraxx DSX decoder and equally ancient 3 inch desktop speaker. I added leads to the decoder and fashioned a makeshift ‘locomotive’ on a board. One set of leads was hardwired to the track power bus, the other to the speaker. Using a jumper wire, I programmed a loco. address into the decoder. All set, I hit the power switch and there was a brief moment of silence. For just a second, there was the downside I was prepared for, that it wouldn’t work. Then, a moment later and there it was, the basement literally rocked to the sound of an EMD prime mover starting up. It was mind blowing! I didn’t just hear it, I felt it. On a low volume setting the rich and deep bass sound was just incredible. Even with an old 8 bit decoder, and old 3″ speaker, the richness of the sound was impressive. Like an idiot I must have sat there for ten minutes just throttling up and down and taking it all in. The answer could not have been any more definitive, speaker size does matter and in a huge way. It also seemed that by virtue of the decoder being hard wired directly into the bus (not relying on wheel to rail contact) that the throttle response was faster. Based on the success of the first step of the experiment I’ve decided to pursue things further. The next step was to order a 16 bit Tsunami sound decoder. People in the know tell me that the data in 16 bit sound is not just twice as much as an 8 bit decoder, but exponentially more. I’ll have to take their word for it. After upgrading the decoder, I’ll look into speakers. Keep in mind I was using a cheap old 3″ speaker. Soundtraxx technical bulletin number 11 states that, even without modifications, the Tsunami TSU-1000 can handle up to a six inch speaker! Add an amplifier and you can go larger. As I continue to test the under table sound concept the idea isn’t so much to produce more volume but rather more fidelity. After upgrading to the Tsunami the next step in the test will be to add one, or several, high quality five or six inch speakers. The key question we all would have is the subject of sound direction. 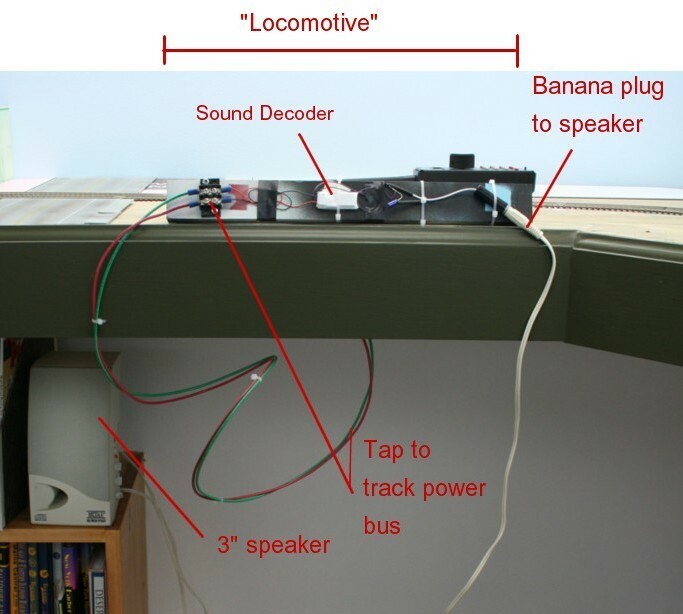 How will it sound if the loco is on one end of the layout and the speaker on the other? The experts I’ve talked to state that bass is less of a ‘directional’ sound than the higher pitches. By that they mean the human ear has a harder time pinpointing the location of a bass sound. This seems to be true. Also, switching layouts have two characteristics that make them more suited for under table sound than a traditional layout. First, they are smaller. Second, you only have one locomotive on the layout at a time. The whole under table idea breaks down if you have a larger layout and multiple locos (enter the Surroundtraxx system but that’s a separate subject). The only way to find out about the directional issue was to run a test. I put a loco. 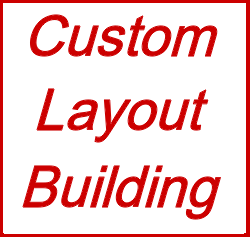 on the layout, hit f8 for mute, and then put it in a consist with the under table decoder. Yes, to an extent the difference in location between the loco. and speaker is noticeable, not as much as you’d think though. It seemed to matter where, as an operator, I was standing. Also, the sound quality was so much higher I was really torn. Fantastic fidelity with a little locational discrepancy or crappy sound coming from the right spot? I still need to run the experiment out further to see how far I can take things. Still to be tested is the subject of speaker location and direction, multiple speakers, and possibly even wireless headphones where the sound is piped right to your ear. I don’t have a definitive conclusion as to whether under table will be the way to go for a small, one loco. 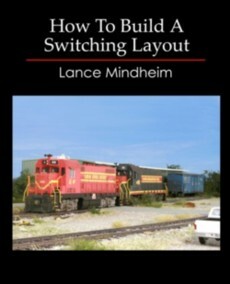 switching layout but all signs are pointing in that direction. Stay tuned!